Ahooo! is the buoyant debut album of Red, a groove jazz outfit that swings the ol’American way. When asked about his style, cellist Tristan Honsinger said, ‘I’m not playing me, I’m playing us.’ A very wise statement. Although she’s in a totally different musical zone, it can be readily applied to Ellister van der Molen. The Dutch trumpeter, engaged in bop, hard bop, Latin jazz, even Dixieland, has a lot working for her, not least a consuming passion for that tradition. She’s part of the group Red, collaborating with her longtime companion from The Hague, pianist/organist Bob Wijnen, tenor saxophonist Gideon Tazelaar and drummer Wouter Kühne. Red presents the kind of accessible, foot-tapping organ combo jazz that was such a prevalent entertaining force in the sixties. Its update for the 21st century is fresh, energetic, a lurid and clever hodgepodge of funky thickness and tart soul jazz uplifting enough to transform any self-respecting couch potato into Swivel Hips. Hey, it’s Mr. Swivel Hips to you. There’s more to it than just groove. The fluently swinging Van der Molen tune Delegatrix has the trumpeter crossing the Mason-Dixie line to shake hands with the post bop boys of Blue Note in the mid-sixties. Her placing of notes is sparse and intriguing, the ending of her solo an enthusiastic question for Tazelaar to answer. Van der Molen wrote DTR to segue into Stardust. Van der Molen’s crystalline sound topped with a side of huskiness, with tinges of Farmer, Terry, Morgan, is featured in the former, Gideon Tazelaar’s smoky phrases are featured in the latter. 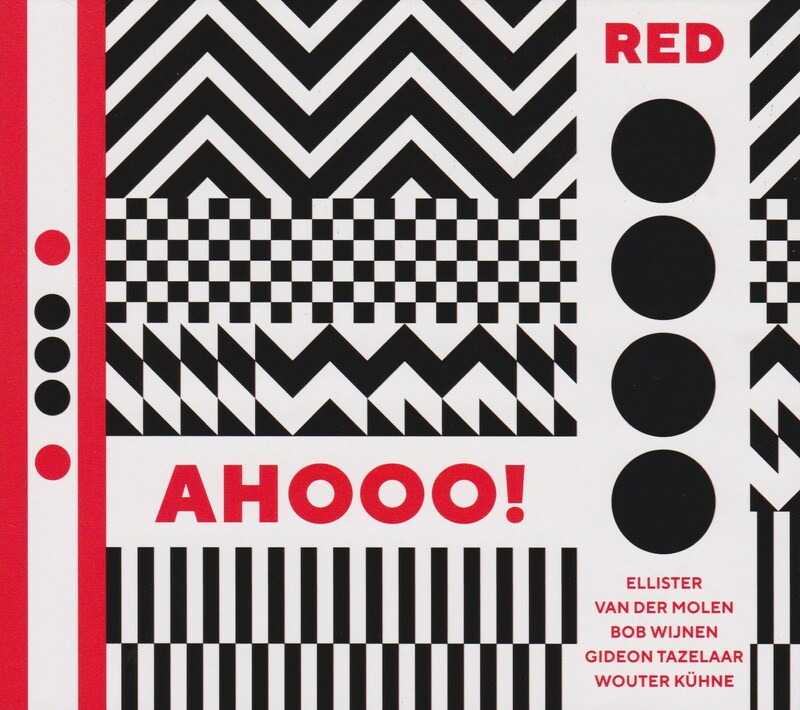 They share a sophistication that runs through the whole down-home program, that consists of bashful flagwavers like Van der Molen’s Mr. Feelgood, Wijnen’s The Red One, nifty funk jazz as Van der Molen’s Toi Toi Moi and Wijnen’s Just What The Doctor Ordered. Jimmy Heath’s Big “P” brings the group into the realm of classic mainstream jazz. Twenty-year old Gideon Tazelaar, dubbed ‘a young man with an old soul’ by the Dutch bop piano master Rein de Graaff, builds a sweeping solo from a sassy entrance and takes part in an upheaving section of simultaneous improvisation with Van der Molen. Wijnen’s statements are precise and audacious, a highlight in an altogether saucy and dynamic rendering of Hammond accompaniment. Ahooo!, the title track, is an exuberant, funky showstopper. Built on a foundation of rousing figures on the snare drum, the group is rejoicing, like a bunch of old friends out on the weekend. There’s a jubilant aspect to Van der Molen’s style in general, certainly not blood-red, more the red of strawberries and the hearts that kids draw. Check out Ellister van der Molen’s website here.